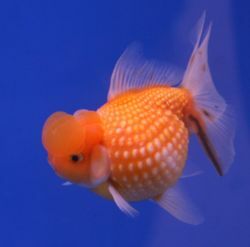 The goldfish, Carassius auratus, was one of the earliest fish to be domesticated, and is still one of the most commonly kept aquarium fish and water gardens. A relatively small member of the carp family, the goldfish is a domesticated version of a dark-gray/brown carp native to East Asia. It was first domesticated in China and introduced to Europe in the late 17th century.